Home » Paid » 100 Coins » Today, I begin love with TSUBAKI. http://www.line-stickers.com/ – Today, I begin love with TSUBAKI. 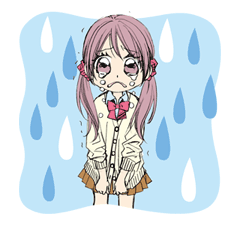 Line Sticker | 8 Dec 2012: the film “Kyo Koi-wo-Hajimemasu” (lit. Today I fall in love) will be released nationwide in Toho cinemas. Get this great sticker set for loves sake! Name (LINE Sticker) : Today, I begin love with TSUBAKI. Next post BRAVELY DEFAULT CHARACTOR STICKERS!